The Wab (pronouced WOB) class is a tank version of the Ab class. With the water tanks over the driving wheels, the class had very good pulling power at low speeds and excellent acceleration on flats. These locomotives were designed mainly for suburban workings in Auckland and Wellington where quick acceleration to operating speed was required. A Wab class would commonly tow ten passenger cars on the Wellington to Upper Hutt Line, stopping at most stations on the way. But because of their high tractive effort they were also used on the heavily graded sections of both islands' main trunk routes hauling passenger or freight trains - in particular between Dunedin and Oamaru and between Taihape and Taumarunui. Thirty of the class were constructed, of which only two survive. With the electrification of the Wellington service and the increasing use of diesel-electrics, a number of Wab's were converted to Ab's. 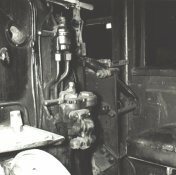 This required the removal of the water tanks and coal bunker and the fitting of a single axle trailing truck under the cab. The Ab's had a G class tender to hold water and coal and the pressure of the boiler lowered 20 psi to 180 psi. 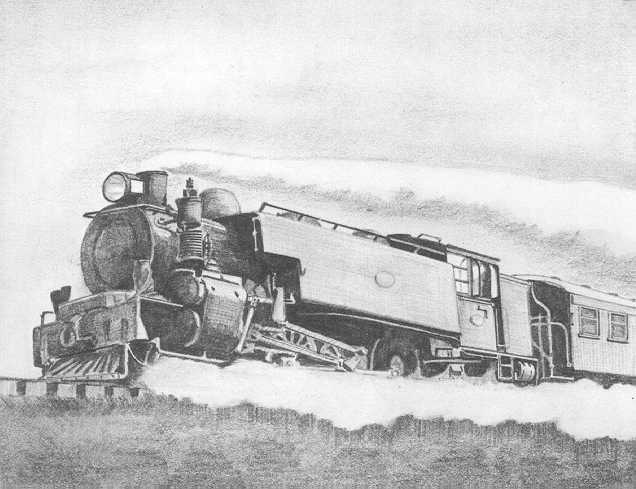 The Ab's were then more useful as they could then be used on lighter rail tracks on New Zealand's many branch lines due to the weight being more evenly distributed. This class of locomotive is capable of higher speeds than that mentioned in the technical information table, however this is restricted by current regulations, to 70km/h in a forward direction and 40km/h whilst running bunker first. 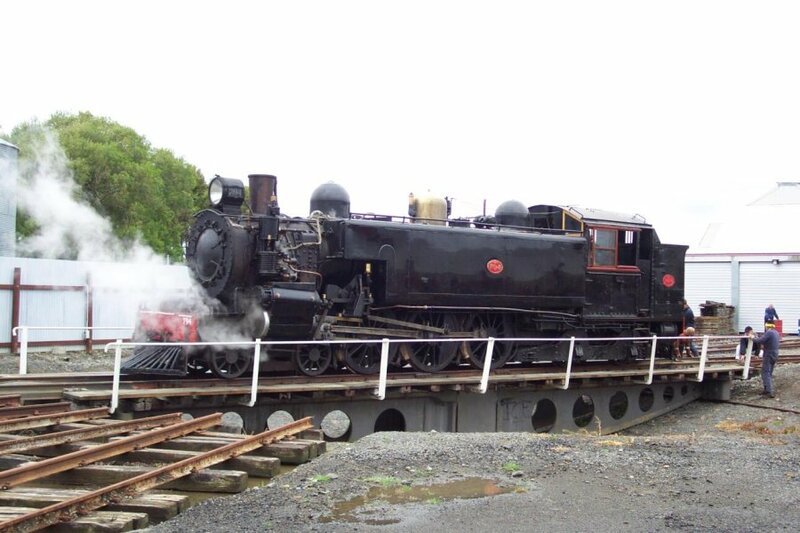 Our Wab794 was built as part of a batch of 10 at Hillside Dunedin in 1927 - completed in May. 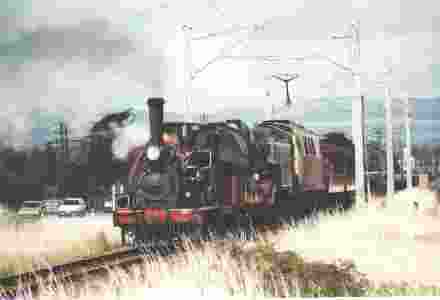 It is one of only two survivors of this class, and the only one in mainline running condition. 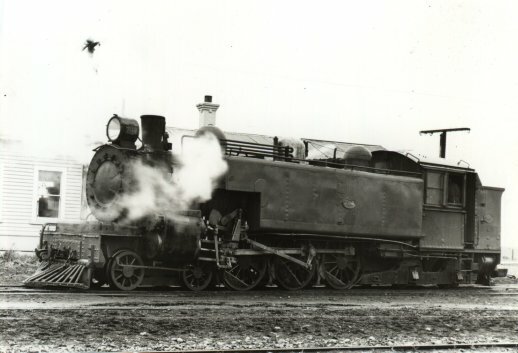 Wab794 was a group of 10 who worked the steeper gradients of the Dunedin-Oamaru route until 1940 when they were replaced by J class locomotives. Alternative work in the South Island was limited due to their high axle loads. 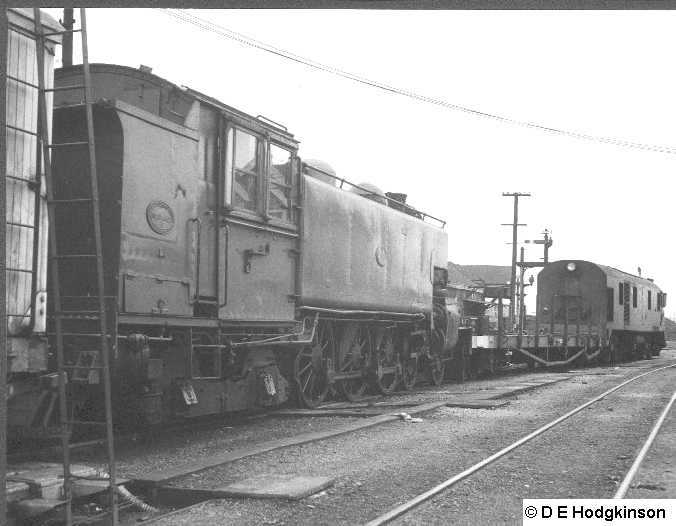 In 1942 Wab794, along with Wab790 were moved to Wellington to work the suburban trains. 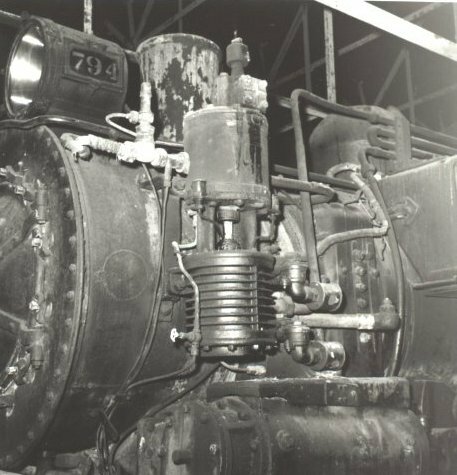 Unfortunately, due to poor maintenance during wartime, Wab794 was involved in the derailment of a suburban train at Haywards in 1943. Completion of electrification of the Hutt Valley in 1954 once again displaced Wab794, and it was moved to Wanganui. This stay was a short one as diesel-electric locos displaced K class locos, which in turn displaced the Wab. Wab794 was sold to the Ohai Railway Board in 1955, after a major overhaul at Hillside (Dunedin). The engine had run 837,400 miles for NZR (1.35 million kilometres). It was used for hauling coal until later in the decade when it was put on standby duties due to the purchase of diesel-mechanical locomotives. The exception to this was when it was when the Otago Branch of NZRLS used it with X442 to haul a passenger train on the 21st November 1964. Early in 1965 the Ohai Board offered Wab794 to the NZRLS Otago Branch for their Ocean Beach Railway, but unfortunately it was too big. The Canturbury Branch, who had been offered X442 for their Ferrymead site, offered to take Wab794 as well. 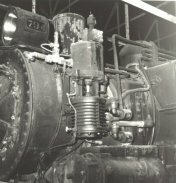 In 1967, it was “released” by the Local Legislation Act to the NZ Railway and Locomotive Society along with X442 for display at Ferrymead Historic Park in Christchurch. In March 1968, the pair were towed from Wairio to Dunedin, and then a week later Wab 794 was steamed to tow X442 to Timaru for secure storage. They did not reach Ferrymead until 1978. In October of 1988 Wab794 was part of the parade of power 125 celebrations. 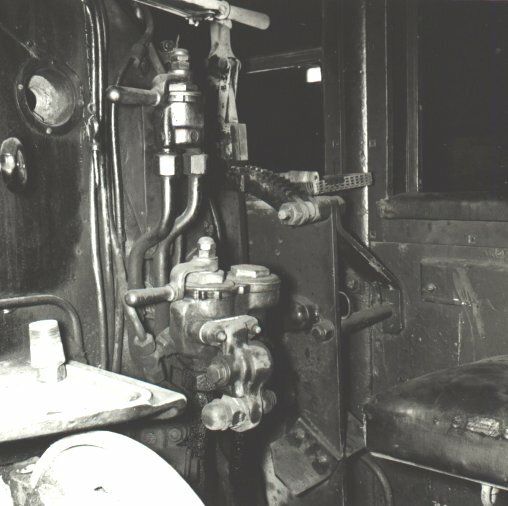 In 1997, it was leased to the F&DSRS on a 25-year ‘heritage’ lease for restoration to mainline operation. Wab794 heading north out of Invercargill behind a DG in 1968. Photo by DE Hodgkinson. The Feilding and District Steam Rail Society was formed with the intention of rebuilding a steam locomotive. After a few months of negotiation we leased Wab794 from the New Zealand Railway and Locomotive Society. 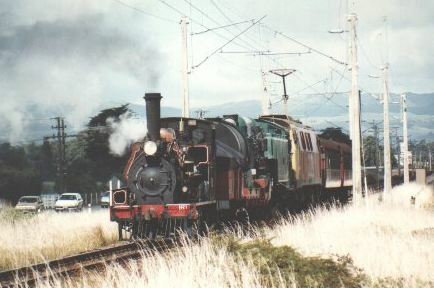 In January 1997 the Wab was inspected at Ferrymead and had servicing done to allow it to be towed to the North Island. The Wab was towed to Picton as part of a standard freight service, and crossed the Cook Straight on Thursday 20 Feb 1997. The Wab was towed to Palmerston North a few days later then it was stored in Palmerston North for a few weeks. The Wab was accompanied for all its journeys to keep a look out for hot bearings and other mechanical troubles. 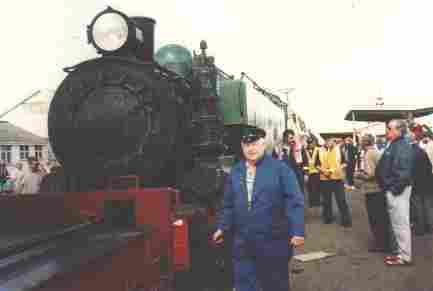 On Saturday 22nd March 1997 Wab794 was officially delivered to Feilding by F163 (a steam locomotive) from Palmerston North with some assistance from electric locomotive 30232. The Wab was greeted by hundreds of Feilding residents to show their support for the community project. Once the Wab is restored to mainline operational condition, it will be used to run trains in the Wanganui and Woodville areas, using Feilding as our base. Once the Wab was in Feilding, it was pushed into its new shed (the Old Woolbank), where the overhaul began to take place. 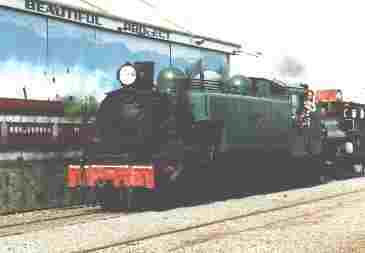 The almost fully restored Wab794 on the turntable within the depot on the 17th November 2002. The Wab's first mainline excursion was on the 31st August 2003. To see what restoration and maintence has been completed since Wab794 came to FDSRS, have a look at the Wab794 restoration page.